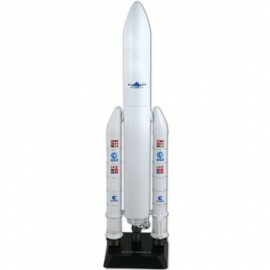 Ariane 5 rocket (ESA) - spacekids - space toys, dressing up costumes, kids spacesuits, astronaut food, cool space stuff! A great model of the Ariane 5 rocket, ESA's trusty launch vehicle that has lifted many notable satellites and space-craft into space, including the recent Rosetta comet-lander. 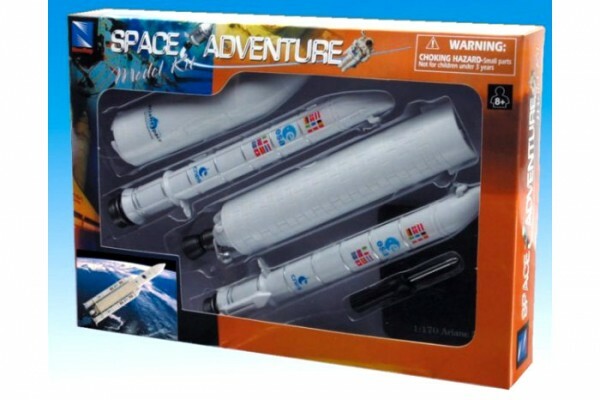 New Ray Space Adventure Model Kit - an easy-to-assemble plastic model that does not require paint or glue. Great fun to put together, and surprisingly well detailed.